St. Jude Catholic Church in Boca Raton, Florida has been so successful since it started using GivePlus eGiving tools, that they’re spreading the word. 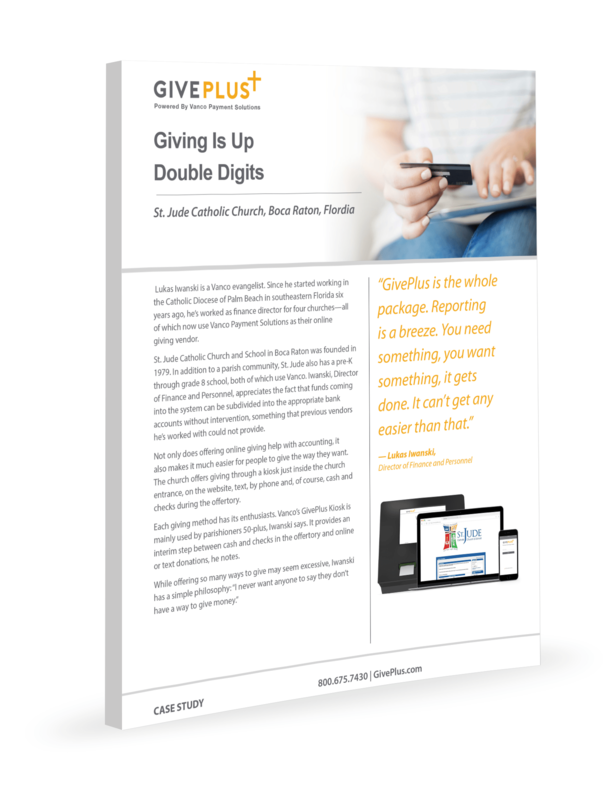 St. Jude has seen overall giving go up by double digits since it launched with GivePlus. And their finance director has shown other churches how to succeed with GivePlus tools as well.